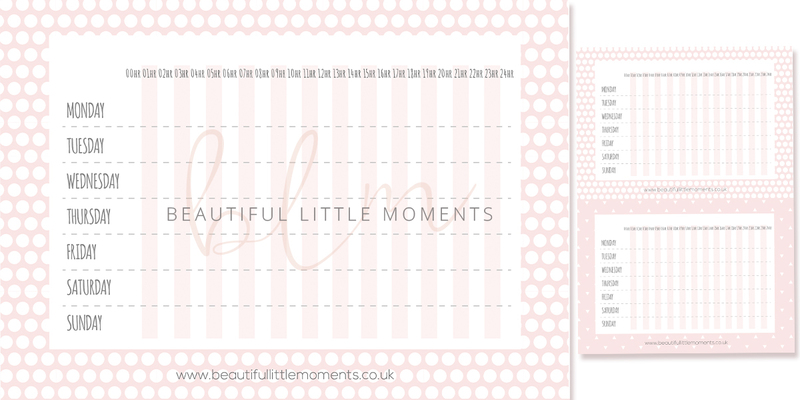 You can use these templates however you like! Create your own symbols and scribbles to record your babies schedule. I can remember when we first had Emilie. I was asked more times than I care to remember “When was her last wet nappy?” “How many wet nappies has she had in the last 24 hours?” “How many feeds has she had in the last 24 hours?” “How many dirty nappies…. ?” You get the idea. It was none stop and when you’re sleep deprived you really can’t remember what time it was you got up to feed and change in the night, your response to these questions become a bit of a blur. The midwives wanted us to keep a record. We tired all sorts, but in the end, good old fashioned pen and paper worked the best. I decided to print out some templates so we didn’t need to keep writing down the times and that is how these schedules evolved. But you really could add anything you wanted. You can download and print your very own blank schedules. All you have to do is sign up to my newsletter below and the download will be available to you. 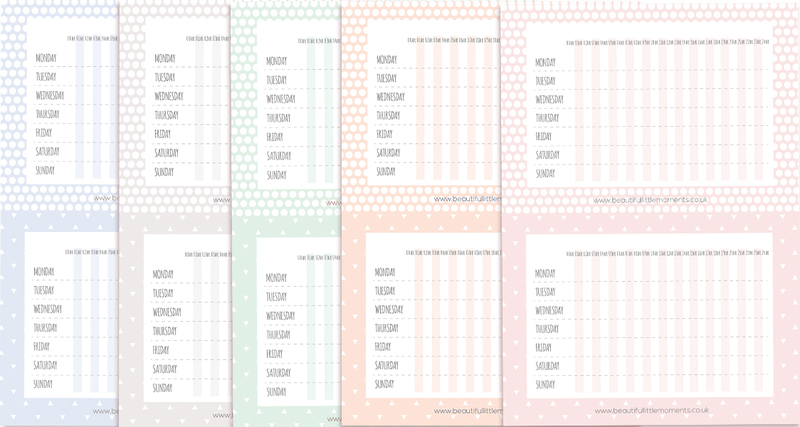 The PDF is easy to print, they’re a standard A4 size and there’s an option of blue, pink, green, peach and grey. Share this link with your friends so they can get the download too!